As tablets like the iPad gain in popularity, many companies are replacing or supplementing laptops for iPads or even implementing bring your own device (BYOD) which allows employees to bring them to work. This trend is only expected to continue, so it should come at no surprise that there are so many apps for iPads on enterprise wireless networks. 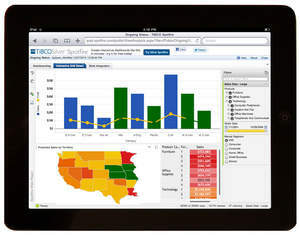 With over a quarter million iPad apps out there, finding the best apps can be quite a task. Don’t worry; we’ve narrowed it down to a list of 6 great apps for iPads on enterprise wireless networks you definitely need to check out. This one’s pretty popular, and if you haven’t downloaded it yet, you definit ely should. I was first introduced to DropBox a year ago and I honestly love it! 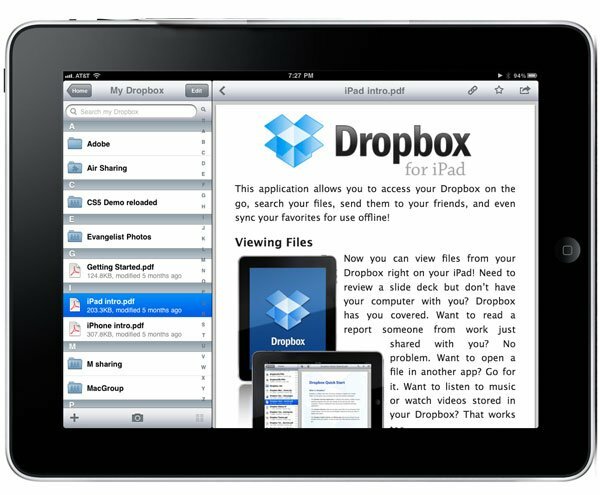 Using Dropbox your employees can upload any documents, presentations, pictures, and videos onto Dropbox where they’ll be able to access them from anywhere. The app automatically saves any documents you’ve created onto any device that has Dropbox installed, so for example, when you change something at home it will appear that way when you go to work the next morning. It’s also a great way to share information with employees as well. This app specializes in helping users visualize large and complex volumes of data by letting them aggregate and plug it into a filter to create bar charts, scatter plots, tree maps, box plots, map charts, and any number of different visuals depending on your needs. The app can directly access corporate data sources, such as spread sheets, meaning you won’t have to manually enter in data for all the charts you’re designing, which is definitely a time saver. 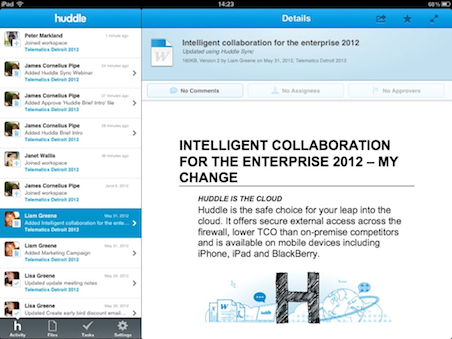 Huddle is a cloud collaboration and content management application meant for enterprises. As its name implies, Huddle lets users huddle together virtually to get work done. Huddle can automatically sync documents to your devices for offline viewing as well so you’ll still be able to review the work your team has done even if you aren’t in range of a Wi-Fi connection. Users can share files across a firewall, manage projects, collaborate and assign tasks, and manage profiles that contain contact information. It also has auto reminders to help you stay on top of upcoming task deadlines. Speech recognition technology sure has come a long way. 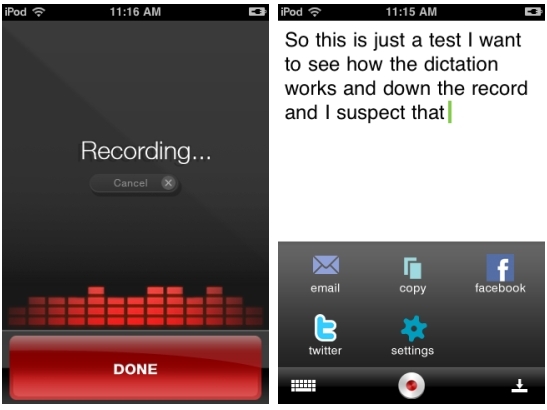 Dragon Dictation is an easy-to-use voice recognition application that allows you to speak and instantly see your text, email messages, or notes. Voice-to-text transcriptions may be sent as SMS, Email, or pasted into any application using the clipboard. It’s the perfect tool to make use of some of your driving time. The accuracy is good and the transcription is really fast. Using this app is a much faster, more efficient way to send out e-mail messages, notes, text messages, etc. while on the go. Swapping business cards at, say, a convention usually means you end up with a stack of business cards that you later have to sort through and enter into your contact list. Well with this app you can just take a picture of the card and you’re done. CamCard will read the information on the card and automatically fill out the fields and create an iOS Contact for you. CamCard's app is easy to navigate through and use. It also allows you to backup and restore your cards through their PC and Mac client. Overall, even if you’re only an occasional user, this app is still worth downloading because it will be much more efficient than loading all the information in yourself. Finally, a solution to pulling old, faded, crinkled, receipts out of your wallet, pockets, car console, or for me the never ending bottomless pit of a purse forexpense reports. This app makes managing expense reports a cinch. 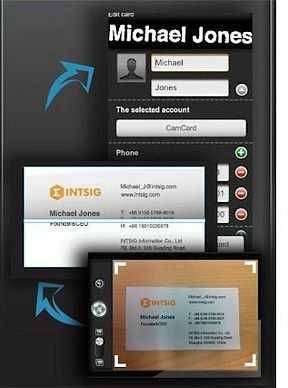 It +syncs with credit cards to track purchases in real -time, pulls in electronic receipts, scans paper receipts using the camera, and produces a PDF report that can be directly e-mailed to the finance department. 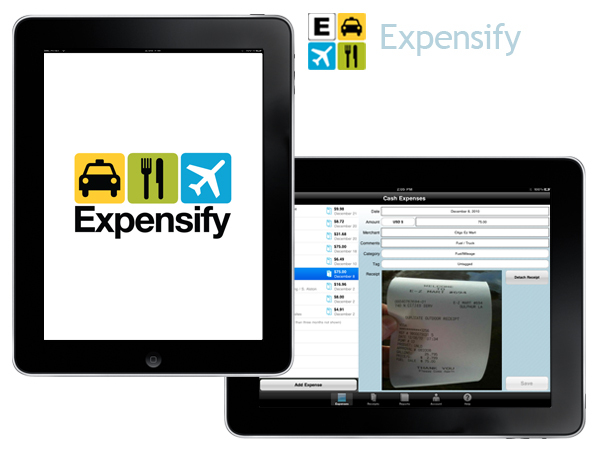 This is a fantastic app is a great time and money saver for employees who do a lot of traveling.